When it comes to refurbishing and manufacturing valve trim components, Boron Technology is synonymous with high quality innovation. Customers have known us as the superior valve shop for over 30 years, so if your requirements are for critical, high quality and longer lasting components, the Boron difference is your solution. Boron Technology is a one stop repair and manufacturing facility that caters to the fossil and nuclear power generating industries, oil and gas refineries and chemical companies throughout the United States and Canada. 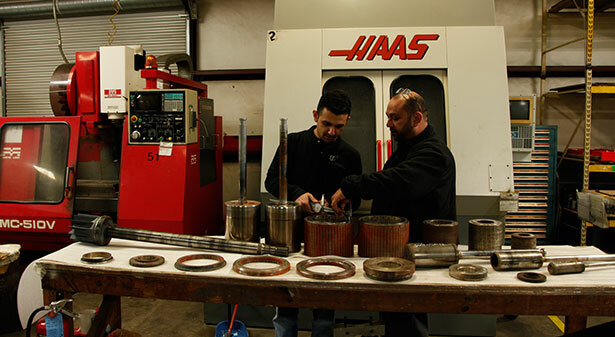 Providing Severe Service Solutions to control valve problems for over three decades, we have the intelligence and technology to completely repair and/or manufacture valve internal components—stems, plugs, cages, disk stacks and seat rings—in a standard 5-7 day turnaround guaranteed. Boron Technology is a major non-OEM supplier of valve parts to the power generation industry, saving companies like Ameren, NRG, Duke Energy and Valero close to 70% the cost of replacement parts. Our mission is to provide the highest level of service and care in order to maintain long-term relationships with our customers, suppliers and employees.